Does anyone know who manufactures the Atlas Copco Roto-H compressor oil? I have heard it might be Shell, but what is their brand name for the product? Does anybody have any experience with this oil? Compatibility with hoses? Many OEM's "market" lubricants under their brand name. It possibly started with the Japanese who started marketing "Genuine oils." Principally it is a good idea as the OEM seek to protect their equipment from damage and subsequently warranty /guarantee claims by the use of wrong lubricants. Reputed manufacturers rarely take short cuts and it is in all probablity that these OEM's will choose a top of the line lube manufacturer. The only problem is that some of the top brands like "Castrol" may; or may not supply oils, if it does not carry the (Castrol) brand name. Thus we now have joint branded products like Castrol-Hitachi Excavator fluid (Castrol Hyspin TH 46). The option then, for OEM's, is to chose from lesser brands (Valvoline, Pennzoil etc) if OEM wishes to camouflage the "manufacturer" of the lubricant. Thus the use of Atlas Copco Roto-H Compressor oil provides an in-built warranty & guarantee. The only difficulty is that such "Genuine oils" carry thier own mark up in price and do not come cheap. If you are persistent you can "discover" the "manufacturer" of the oil, but in all probability it may not be Shell. Further, the OEM may have obtained "undertaking" from the Lube manufacturer not to sell the same oil in the market, "with the same name." I do agree it probably is a good idea for OEMs to "brand" their own oil, based on the criterias you mention. However it seems like the possible "problems" with oils vs. equipment gets transfered over to the end user. - And some of their customers have re-built systems / replaced hoses and gaskets. What if there might be compatibility problems with the new "brand" oil? At least when you buy oil from an oil supplier you get the correct documentation for THE product you buy, like compatibility charts and more. It seems the OEMs "brand" oils are so secret, that it is almost impossible to get the correct technical documentation. How are the end users going to know what kind of hoses to use when the OEM wont give any qlue on what materials to not use? Allow me to break into a conversation and to express one's view on this problem. I think that OEMs “brand” oil not good idea. In this case I see the two “pitfalls”. On the other hand OEMs often conceals their technical and construction imperfections and defects by growth concernment of Lubricants. Instead utilization of established structural materials and engineering solutions they shifts problems on shoulders of “special Lub's", which stands very expensive of course. Even if it is very good equipment, but it require specific maintenance, including the lubricant that can to buy in one place of world only - it is not good thing. Thanks to that some OEM replaced one material of gasket by other without particular needs, it compel the owner to puzzle over search the OEMs “brand” lubricants. This situation is cast back the bottle of beer in Europe with bottle-opener in US. Fortunately most OEMs are rest upon world-wide specifications of oils and not persist on use OEMs “brand” oils. The OEM branded oils is actually a good idea. The OEM angle: For equipment costing thousands of dollars ( say an Excavator) the cost of lube is a few hundred dollars. Based on a typical lubricant consumption,in an excavator the lube cost may not exceed 3 to 4 %. Many of the excavators operate in remote and far off areas, where obtaining immediate stocks may be difficult. Survey shows that wherever or whenever there is a shortage, spurious oil/spare parts suppliers proliferate. If users resort to shortcuts a material costing 3 to 4% can seriously damage equipment worth (96 to 97%) or thousands of dollars. Then there are warranty & guarantee claims and disputes which cannot be resolved easily. 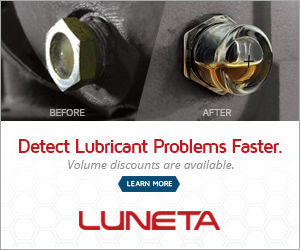 It is against this background that OEM's cater to the Lube needs as well. So principally it is good idea. The disadvantages are: In a competitive environment OEM's like to work on low margins for actual equipment and make money on spare parts and lube oils. They may thus fleece the user on OEM branded lube oils. The advantages are: As all components are OEM approved & supplied, the logistics of supply, as well as warranty and guarantee issues can be easily resolved. We can thus conclude that benefits are technical and disadvantages are commercial in nature. I agree principally with Hussam and practically with Mikhail.If a particular unit has a good maintenance team, they can cash upon new developments in the market. Ex. I have seen no. of screw comp. manufacturers recommending their own oil, which gives life of 2000 hrs., and sepeartor has to be changed in 2000 hrs. too. But there are no. of good UCBO, PAO and PG based compressor oil in the market which provides 8000 hrs. of service life and seperator needs to be changed in 8000 hrs.So if you calculate, there is good cost saving even after paying more.Apart from this,these lube suppliers are providing reports of Oil test analysis as and when required, free of cost some cases. So,I think O.E.M should give particular speification of oil which has to be followed, instead of their own brand of oil. In case if any problem has occured during warranty period, they should check whether customer has used oil having prescribed specifications or not. To lube salesmen like me you are an Angel. Many of the lube manfacturers have excellent products for many applications. Unfortunately, some of the OEM's become hurdles in upgradation of the market. They do not recognise the new development and do not want to work hand-in-hand with lube supplier. Thier logic possibly is "How can this two-bit lube chaps tell me which oil to use. My equipment cost fifty times what an oil costs, I will decide on the oils." Today many engine manufacturers still recommend API CC, CD oils and Mono grades as well. Fortunately heavy advertising and promotion by oil companies have resulted in an increase of CF4 oils sales. CI4 oils are not heard of as yet. The other problem we face in India is spurious lubricants. In interior part of India, fakes of Castrol and other brands are sold openly. I have personally handled a number of "product failures". The lab analysis in such case have shown 'product not matching Castrol specs.' Query reveals that due to stock out oil was bought from dealer. Castrol records do not show any sales to the dealer. All this dilutes the Castrol brand. As they are supported by influential and corrupt means, big corporates like Castrol have given up. They now use modern packaging technology to fight spurious products. It is against this background that OEM lubes are a blessing, albiet at a higher price. The problem of forgery in countries such as Kazakhstan has grandiose scale. There are fabricating all - from needles and beverages to foods and household appliances. And forgery protection has temporality and sway from side to side. But I speak of other things. For example Demag Excavator. For all components of this equipment you can select lubricant meeting common specifications, but only for greasing of Slewing Ring you must use special Tribol’s product as otherwise will be pitting of Gear Teeth & Pinion. Hundreds and thousands similar assemblies are working without special Lub, only Demag cannot. I think that in this case we have example of technical imperfection, incompleteness. Other Lub with EP characteristics CANNOT provide adequate protection of these parts. And owner of excavators must to buy German product independently of its own location. And this product stands really golden because the oil manufacturer is ready to supply it by truck, by plane … Please, pay through the nose for whose mistakes! Or is other example, Steering Power Fluids of Audi Cars. It is not ATF. It is not Hydraulic Oil. It is SPECIAL product from VW and we cannot see other explanation. Why? I don’t know. May be there is another type of gasket material, may be there is especial requires for lubrication bearings? And this product has cost larger, more larger, than other. Apropos, in these conditions will be prospering the falsification. And how you said “If you can to buy the car at $30 000 or $40 000, you should buy the Special Product at $10 or $20 per litter. That's gorgeous! I like Caterpillar. It has own Lub for each application. Cat does not give any approvals to other firm’s lubricants. You can use either Cat Lub or other Lub. If your selected product is meeting required specifications you can to use it for any Caterpillar equipment. But if you bought falsification product - it is your problem. Next time you will buy Lub from official distributor or some other ways, which will exclude disappointing mistake. But Cat NOT FORCES you to buy CAT'S LUBRICANTS with knife near throat. In view of this it came to me discussion (true it will be better for next section “Car and Truck Lubrication”). If you have a new car and ask hundred people “What Lub I must use - Sinthetics or Mineral?” and 95-98 of them answers “Synthetics, of course!” Why, and scores of times, WHY? if you are in india, you can easily get the equivalent of Atlas Copco Roto-H plus oil in 1/20th price with 20000 hrs of proven drain interval. Search the equivalent in india psu’s.